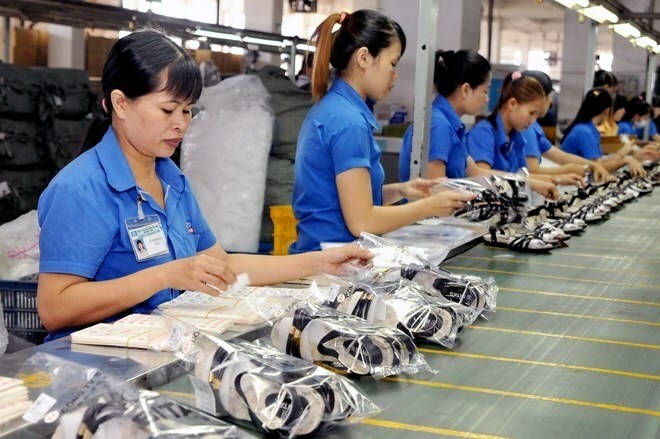 HCM City (VNS/VNA) - Businesses should aim for sustainable economic development by using environmentally friendly production and “green” financial sources, experts have recommended. Such goals are part of the “Trade for Sustainable Development” project, which promotes green production and green finance (finance that facilitates sustainable and environmentally friendly practices). The project kicked off in Ho Chi Minh City in March. The city is the second region in Vietnam to launch the project after Hanoi. The two-year project is run by the Vietnam Trade Promotion Agency under the Ministry of Industry and Trade and the International Trade Centre. Bui Thi Thanh An, deputy head of the agency, said the project assisted businesses and co-operative groups in improving production value and joining international value chains through sustainable business strategies, green standards, and green finance. The project provides technologies and solutions, and helps businesses identify and access green financial sources, and penetrate international markets. Many businesses, especially small to medium sized, and agricultural co-operatives still lack the knowledge and skills for sustainable development, according to experts. The project offers training and international upskilling courses (created by renowned international universities), and helps firms improve their skills so they can operate their businesses in a sustainable manner. Green development is considered a key to sustainable development. Even though the use of green technologies has high initial costs, businesses that use such technology will attract more foreign investors and customers, according to a representative of ITC’s Department of Business and Organisation. Dang Duc Tuan, a marketing analyst at ITC, said that sustainability standards helped businesses become more competitive as more customers demand products that meet such standards.